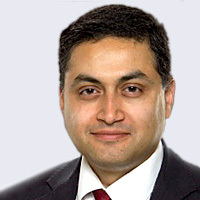 Mr. Pai has been a NHS consultant in vascular and general surgery at the Royal United Hospital (RUH) in Bath since 2007. Since 2014 the service has now moved to Southmead Hospital Bristol. He qualified in Mumbai India in 1993 and trained as a surgeon in Mumbai. He had his specialist vascular training in Oxford and Bath and did an endovascular fellowship in Adelaide Australia before joining the RUH. During this time he conducted research in arterial disease and published it to get his MD at London University. He is currently the director of the Abdominal Aortic Aneurysm (AAA) screening programme for Bath Bristol and Weston. At the RUH he was Surgical tutor for 5 years. He is an educational supervisor for trainees, undergraduate examiner at Bristol University and has been an examiner at the Royal College of Surgeons of Edinburgh for the last 3 years. He has an extensive experience in treating both varicose veins and arterial conditions. He has been using endovenous techniques since 2010 and has treated varicose veins for over 15 years. He is particularly experienced in Local aneasthetic ambulatory treatment of Varicose veins. He is experienced in all aspects of arterial surgery including endovascular surgery for aortic aneurysms. He helped set up the fast track carotid (stroke surgery) service at the RUH which is ranked amongst the best in the country. 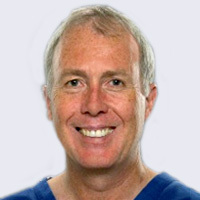 He practices as a company Coles and Pai Ltd.
Mr. Budd qualified at St Bartholomew’s Medical College in 1982 and obtained his FRCS in London in 1986. After junior surgical posts in Cambridge and Bristol he moved to Leicester initially as a vascular research fellow and subsequently as a Clinical Lecturer in Vascular surgery. He was appointed at the Royal United Hospital in 1993 as a Consultant Vascular and General Surgeon as well as a Senior Lecturer at the University of Bath. He has recently retired from the vascular department at the RUH/Southmead but continues to look after varicose veins and hernias, more locally. During his tenure at the Royal United Hospital he has been Clinical Director for a total of 7 years and was also the Surgical Tutor for 10 years. He is an Educational Supervisor to a number of trainees and an undergraduate examiner at the University of Bristol. He has been an examiner for the Royal College of Surgeons of England since 2000 and more recently became an FRCS examiner for the Intercollegiate Board of Examiners of Great Britain and Ireland. 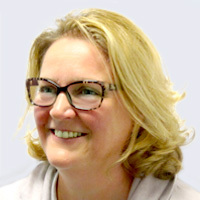 Miss Winterborn is a Consultant Vascular and General Surgeon at the Royal United Hospital in Bath.Since 2014 the service has now moved to Southmead Hospital Bristol. She has a particular interest in day case varicose vein treatments including endovenous VNUS closure, traditional open surgery and foam sclerotherapy. After graduating from The University of Bristol in 1998, Miss Winterborn completed an MD Thesis in 2008 entitled ‘The Prevention of Recurrent Varicose Veins’. She undertook Higher Surgical Training in the South West Region including a year of Endovascular Radiology training in Bristol with the completion of a Postgraduate Certificate in Medical Ultrasound. She is actively involved in teaching and is currently the Surgical Tutor for 5th year Medical Students from Bristol attending Bath Academy. 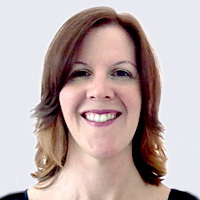 She is also a recognised Clinical and Educational Supervisor for trainees. Miss Winterborn’s priority is to provide a very high standard of care for all patients maintained by regular patient feedback and audit within a friendly and stress free environment. 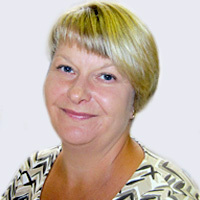 Jane Pollit is our personal assistant and main point of contact at BMI Bath Clinic and Circle Bath. Anna Budd is our Vascular Nurse Practitioner and does all the micro-sclerotherapy for thread veins. 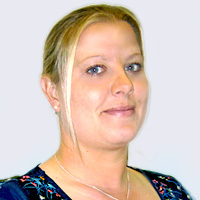 Vicky Davis a Clinical Vascular Scientist and does all our scans both for varicose veins and arterial diseases. She also does all the scanning necessary during a VNUS procedure.